Hearing aid product order capturing landing page design with small lead capture form on top along with product picture. Organized content sections with strong order now buttons. 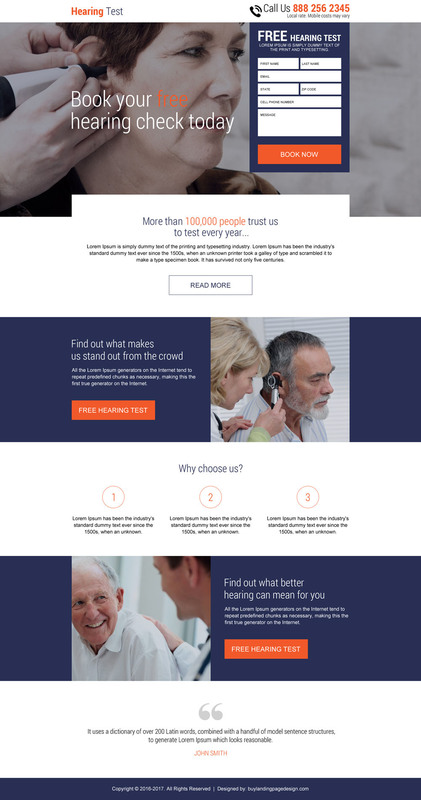 Hearing care needs and solutions services offering modern landing page design. Clean and informative content section with call to action button and space for inserting video. This hearing solution landing page design is perfect for those who want to give their landing page a modern look and professional feel. Request a free quote for your custom hearing solution landing page design based on your custom design and services requirements.